Donald J. Rumsey left this world to be with his Lord and Savior on March 28, 2019. Don was an amazing man who leaves behind a huge legacy and holes in our hearts. He was born September 14, 1920 in Chester, OK. to A.W. "Buster" and Lela Rumsey. They had three children, a daughter Jean, and two sons, Donald and Dale. Don and Dale left the family ranch at a young age and headed to California. They enlisted in the Navy and served in WWII. Don became a machinist and with that experience went on to become an entrepreneur successfully running and owning many different businesses. Don and Dale, were not only brothers, but the best of friends and business partners. Don was very proud to be a Mason and Shriner for over 75 years. He became a pilot at the age of 20 and he continued to fly until he was 85. He also owned several ships and enjoyed being an Admiral. A country boy at heart, he purchased his ranch in Horseshoe Bend, ID in 1968. Along with that came his love of horse racing, owning many different horses and traveling to races across the country. Don thoroughly enjoyed life, working hard but playing hard as well. Gambling and spending time with his family were some more of his favorite things to do. Don met his "country girl" Suzy Drake and married her in 2008. They traveled and experienced many different adventures in their time together. Creating a Love and Partnership most can only dream of. He was greatly loved and admired by his family and many friends, he will be truly missed. Don is survived by his loving wife Sue Drake Rumsey, his brother Dale Rumsey, his daughter Judy (Ray) Bullard, his stepdaughter Michel (Brent) Woods, and his stepson Shaun (Kari) Pomerleau. Several grandchildren, great-grandchildren, nieces and nephews. He was preceded in death by his parents, Buster and Lela, his sister, Jean and his son, Tom. Special thanks to his loving caregivers, Helen Lawler (PA-C), Becky Thompsen, Heather Olsen Mather, Carolyne Warden, Michel Woods, Sharon Chase and Venita Olsen. 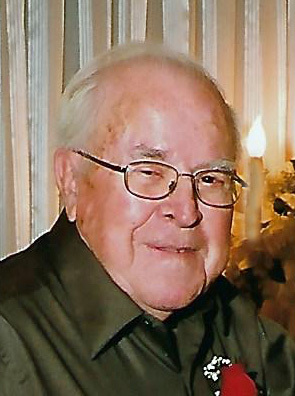 Funeral services will be held at 11:00 a.m. on Saturday, April 6, 2019 at the Ladies Club Hall in Horseshoe Bend. Burial will follow in the Pioneer Cemetery in Horseshoe Bend. Arrangements are with the Potter Funeral Chapel in Emmett.